Your carpets go through a lot of wear and tear. Dirt, water, mold, pets – there are many factors that can reduce the life of your carpets and make them look dingy and stained. But, replacing a whole room of carpet every few years can be an expensive, time-consuming process. You need a better alternative. You need complete carpet treatments from Timberline Restoration! 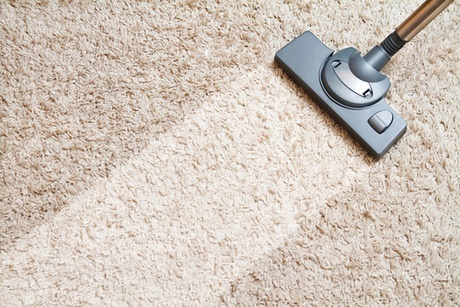 Using top-of-the-line equipment, combined with our skilled technicians, we are able give new life to worn, dated carpets. Q. Will the pet chemical really get the stains and smell out? A. Yes, when we inject our pet friendly biodegradable chemicals, it has to set for a minimum of 3 full days, on the 4th day we will come back and clean the pet urine and stains out. Q. How Long Does It Take The Carpet To Dry After It Is Cleaned? Q. Can you get wax out of carpet? Q. My dog shredded a small section of carpet, can you fix this? A. Yes, if you don’t have leftover carpet, we can take a piece from your closet. Q. Can you get paint out of carpet? Q. I spilled bleach on my carpet, can it be fixed? A. Yes, we can dye it back to the original color. Q. Can you get rid of bed bugs? A. Yes, typically through steam clean we can eliminate the bed bugs. Q. Can I walk on the carpet while it is wet? A. You can, it won’t hurt anything, but it is best to remain off the carpet as much as possible until it is dry. Q. How long should I wait to move my furniture back? A. Not until completely dry.